In our last blog post from Professional Charter Services, we looked at some of the reasons why you should hire a charter service. In this blog post, we’d like to take a look at a few more of these reasons. Scheduling a charter bus is simple, but it isn’t always quite as easy to make the decision or be sure that you need on. 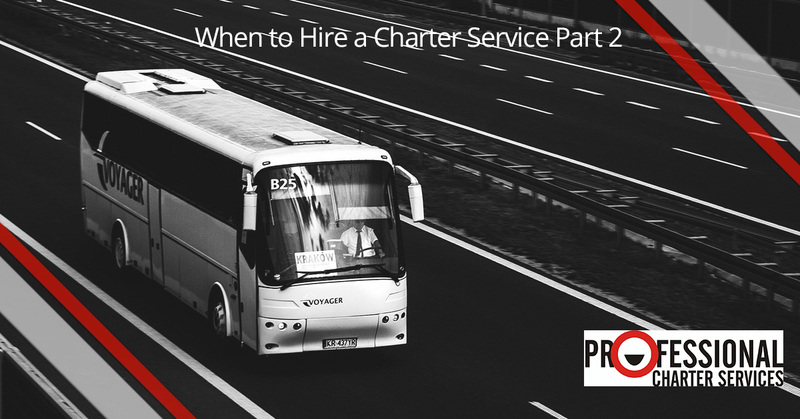 That’s why we’ve worked to put together these tips on how to know when you need a professional charter bus. It’s easy to book a charter bus with Professional Charter Services, and getting a quote is absolutely free! Contact us to get started.